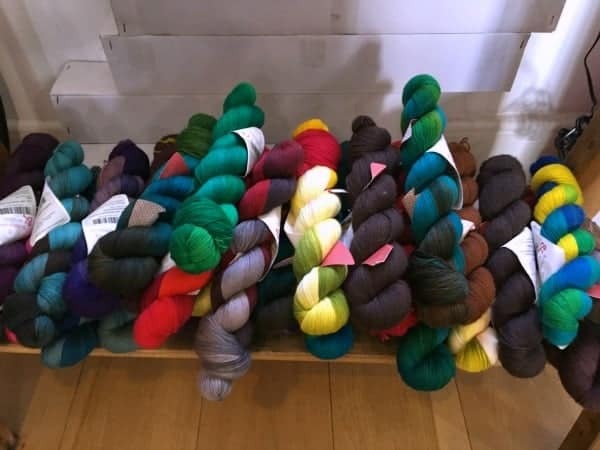 I’m sure it’s no surprise that after learning that I would be visiting Lisbon, Portugal, in early February, I headed to Google to scope out the yarn scene there. Through my research, I learned that the place to go was Retrosaria Rosa Pomar. I checked out the location, bookmarked the site and filed the information away. Rosa Pomar opened her namesake shop in a former mannequin factory in 2009. 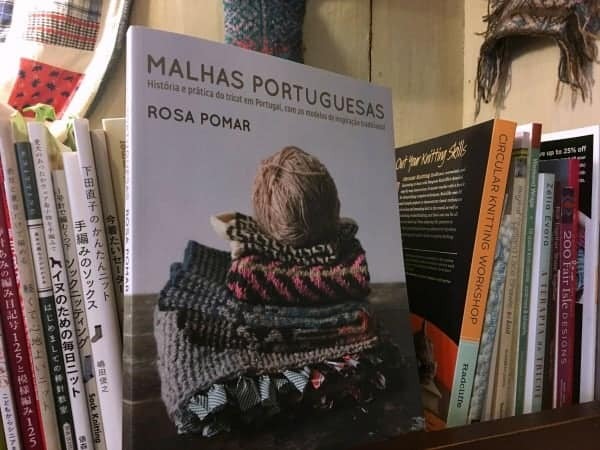 It dovetails nicely with her work researching Portuguese textiles and is beautifully curated, with a mix of fabric, ribbon, notions, tools and, of course, yarn. 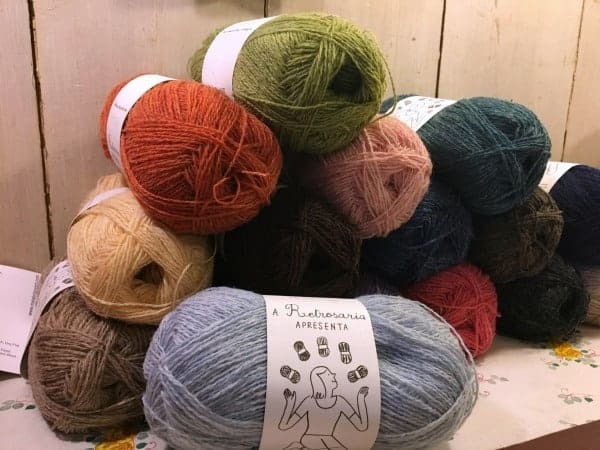 Much of the yarn here comes from some of the 14 breeds of Portuguese sheep, developed via collaboration with small factories and breeders associations; some are also handspun in small villages around the country. While some of the yarn felt sheep-y (read: rough for my somewhat princess-y skin) I was particularly drawn to the Beiroa, a DK-weight yarn made from the wool of the Bordaleira Serra da Estrela sheep, with a beautiful marled look and a promise of post-blocking softness, and the Zagal, a soft Portuguese Merino wool that Rosa designed a hat for, with a simple colorwork pattern inspired by a traditional handwoven blanket. 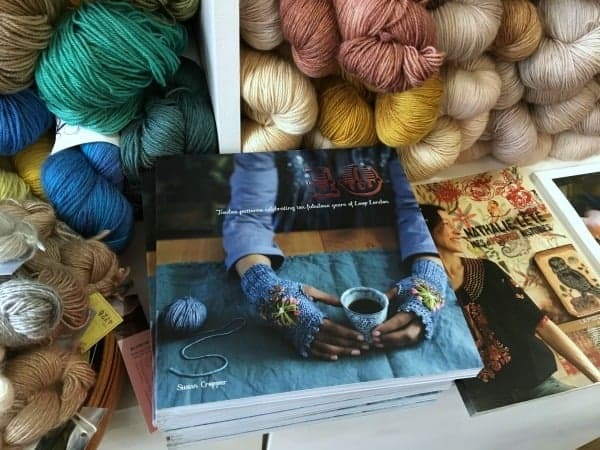 Gorgeous and inspiring colorwork samples filled the shop, and there was also a nice selection of books from some familiar faces, as well as Rosa herself. What also struck me were the yarn tags and ball bands, many of which featured illustrations. 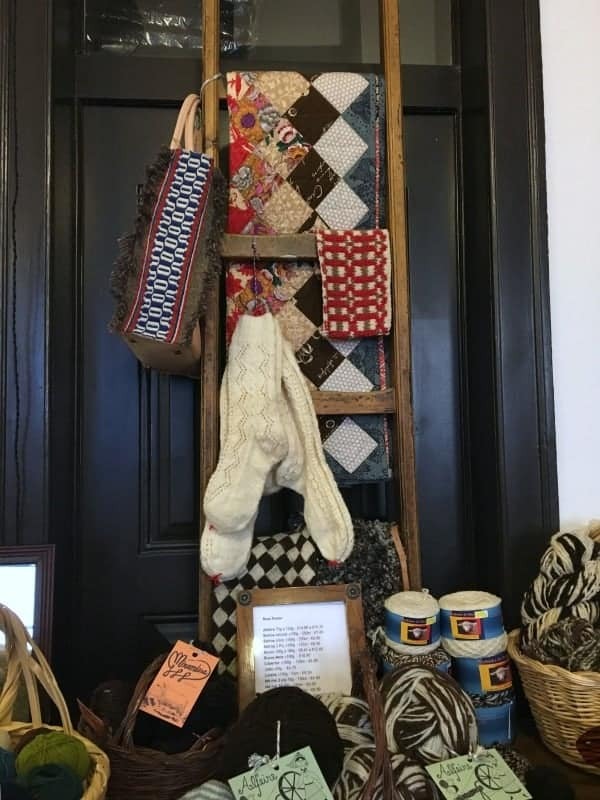 Aside from yarn, I also took home a beautiful handwoven rag pillowcase (the exact one in the photo), made in Portugal out of old clothing. 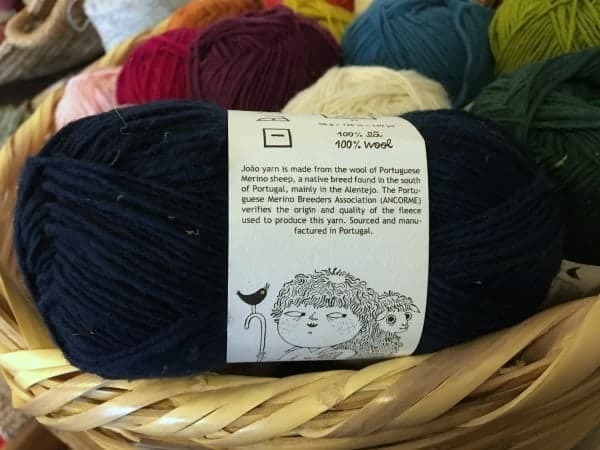 I was bummed that the shop had sold out of the tote bags with an original illustration found on the tag for the shop’s Larada yarn. 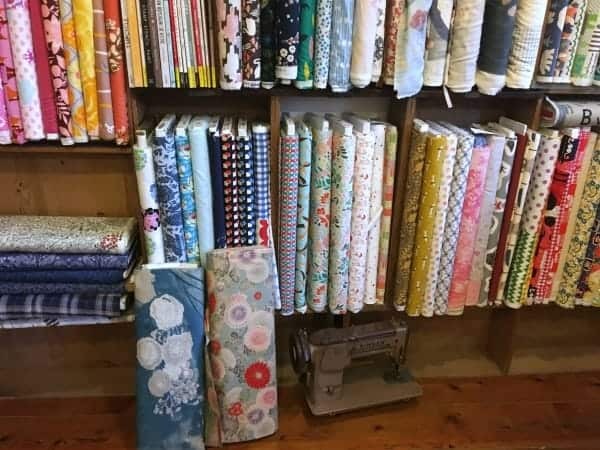 While I am so glad I paid this shop a visit — I could have spent all afternoon here — I was bummed that I didn’t get to meet Rosa herself, who is busy managing both the shop and a toddler. For now, I’ll just lose myself, and revisit Lisbon, via her Instagram feed. 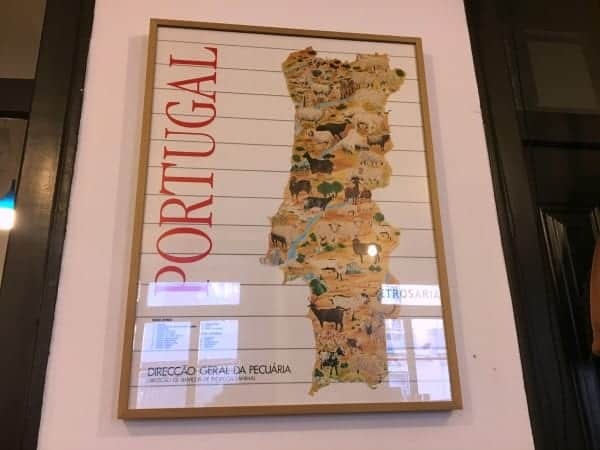 Last week, I had the incredible opportunity to visit London and Lisbon, joining my mother-in-law and more than two dozen of her friends on their annual ladies trip. 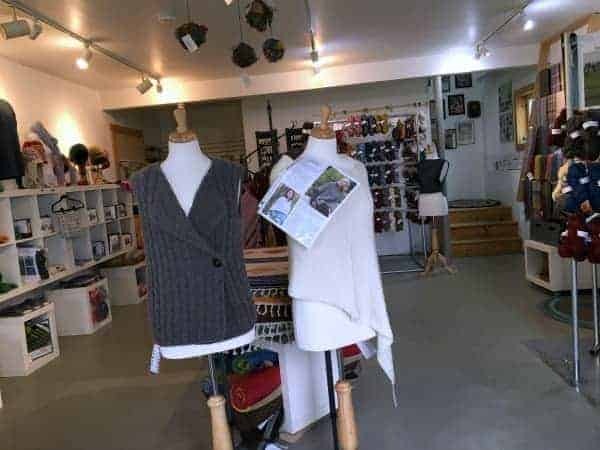 Our itinerary was jam packed with museum and gallery visits (including the phenomenal Picasso Portraits exhibit at the National Portrait Gallery and Anselm Kiefer’s haunting Walhalla at the White Cube), but I couldn’t make it across the pond without seeing the yarny sites. I hadn’t been back to London in 15 years, since I spent a semester there through the Friends World Program, now called LIU Global. 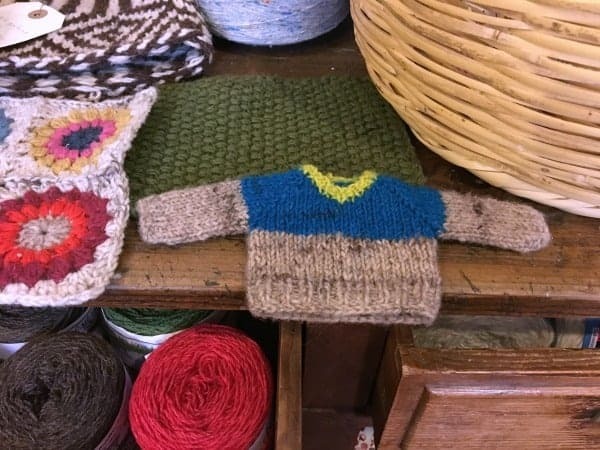 I was certainly seeing a different side to the city, especially since I didn’t know how to knit back then. 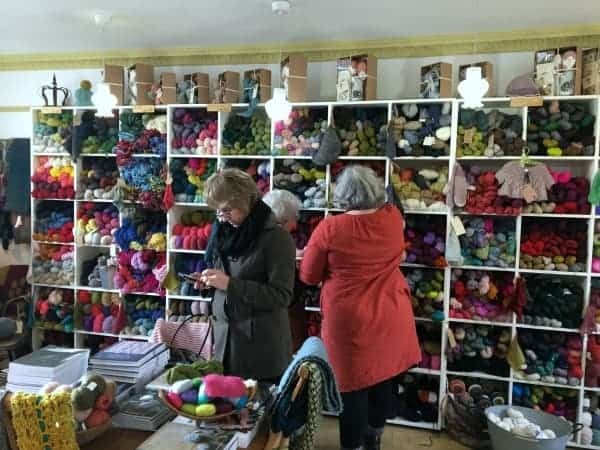 After arriving at Heathrow Friday morning, one of the first things I did, after checking into the hotel, freshening up and getting a UK SIM card for my iPhone, was hop on the Tube and head to Islington, home to Loop, which is the London yarn shop to visit, especially if you’re an indie-obsessed knitter. 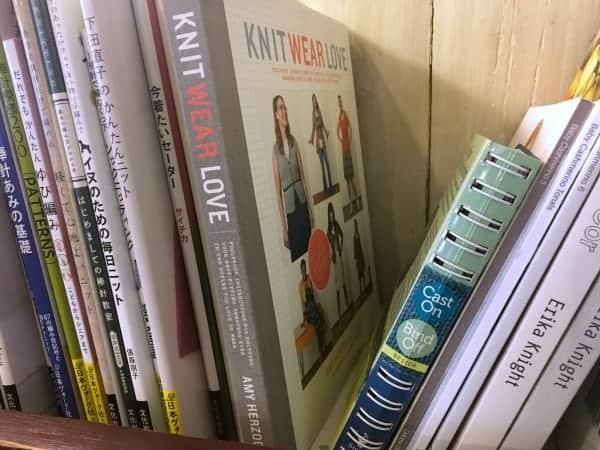 Conveniently, shortly before my trip, Loop’s owner, Susan Cropper, published a London guide for knitters on Mason Dixon Knitting. 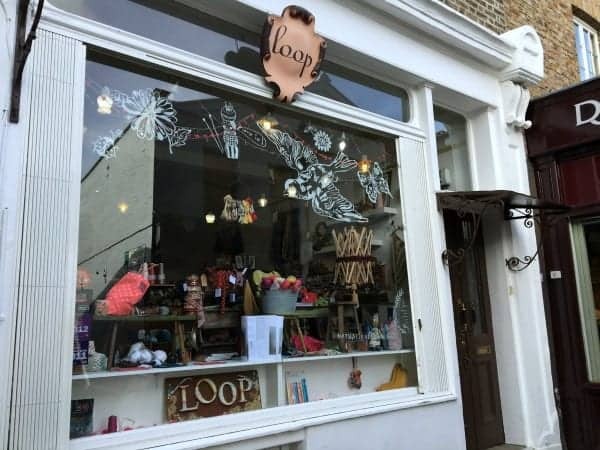 Before I left, I made sure to check out Loop’s website so I could strategically plan my shopping, for which I knew I’d have a short window (because we all know you can spend ages poking around yarn shops). 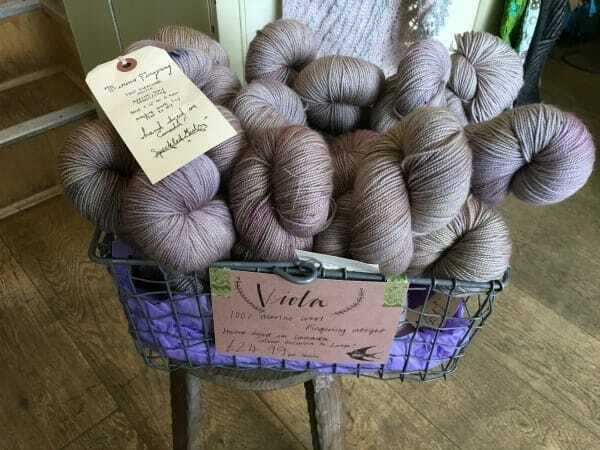 It was there I discovered my first London souvenir: Viola yarn in a speckled pinkish purple dyed exclusively for Loop. 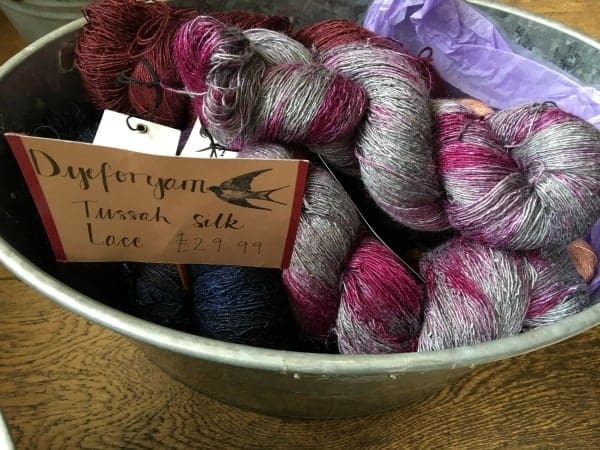 It may seem strange to travel to London just to buy yarn from a dyer in Canada, but as Emily of Viola has a history in the UK, having done an apprenticeship at John Arbon Textiles in North Devon, it seemed a fitting purchase. Plus, it was exclusive! 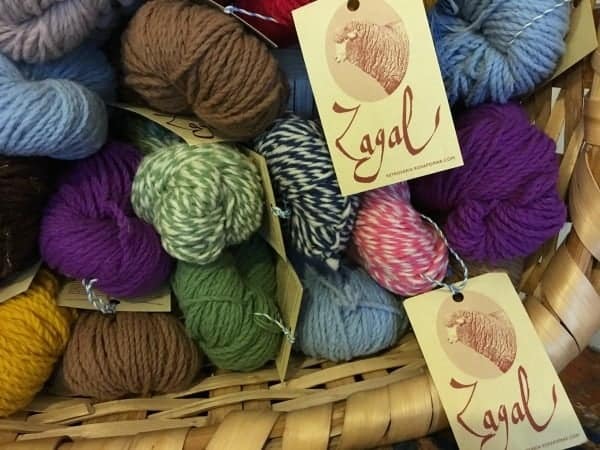 I’ll likely be using it to knit Meghan Fernandes’s Wreath Shawl, designed exclusively for Loop for its 10-year anniversary in 2015. 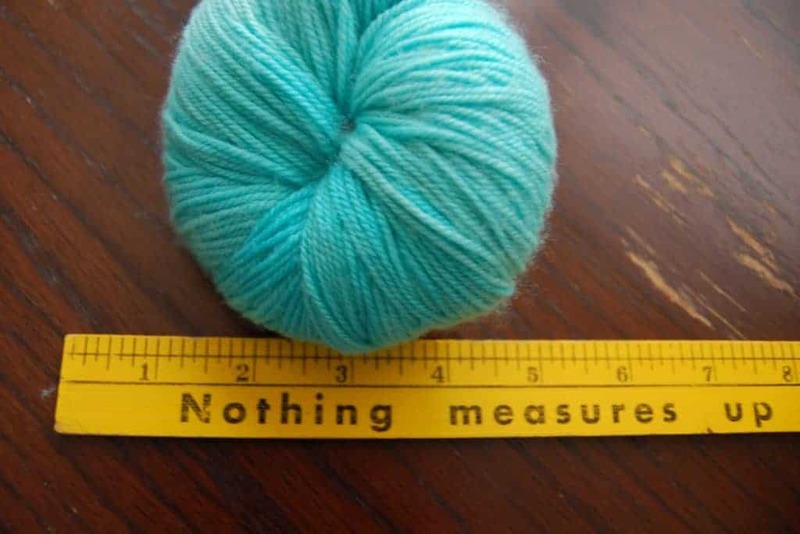 With my yarn purchased ahead of time and waiting for me at the shop, I could focus on exploring. What first caught my eye were the cute drawstring project bags, in fun, bright colors, stamped with the Loop logo. 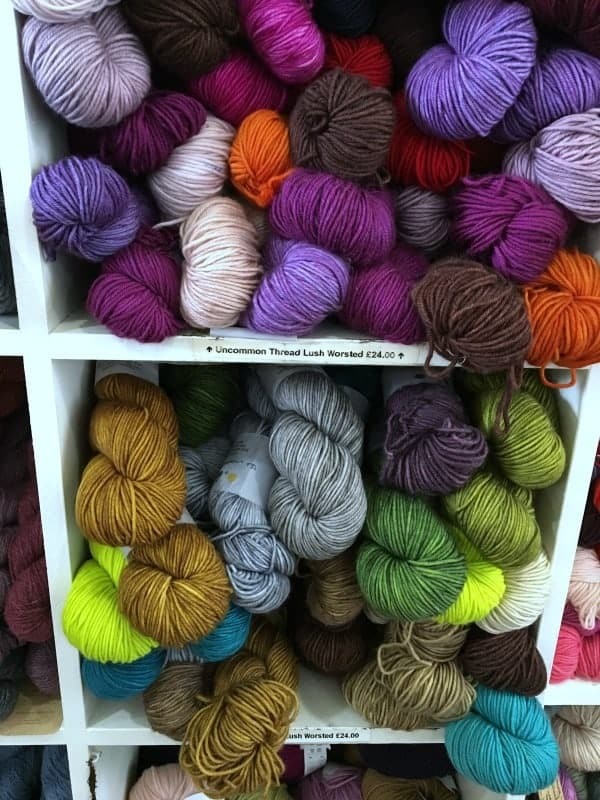 Then, I took in all the yarn from my indie favorites scattered around the shop. 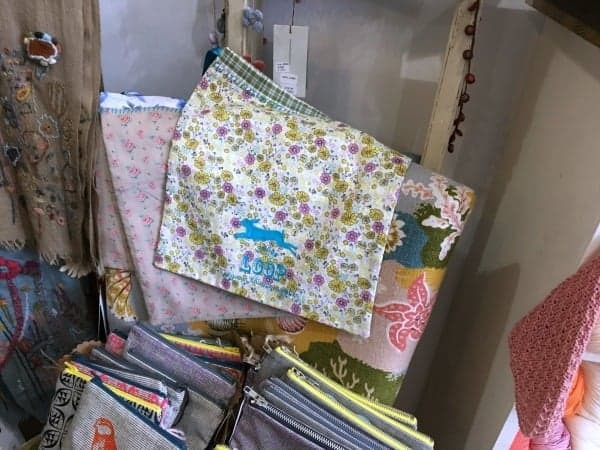 Among the familiar faces/labels were goodies from The Uncommon Thread and Eden Cottage, both based in the UK, and Germany’s DyeForYarn and Wollmeise. 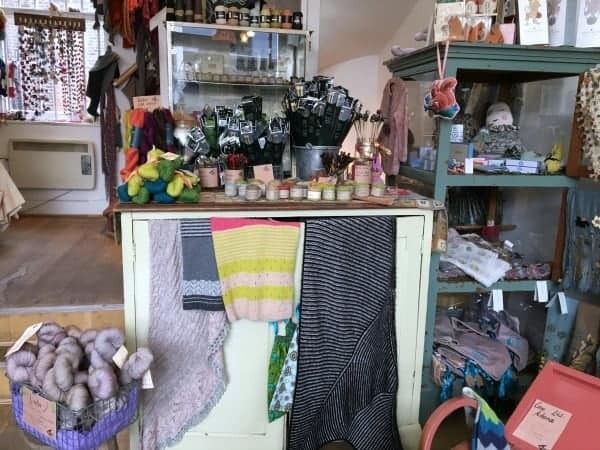 I enjoyed taking in the shop’s overall aesthetic, which was very cozy, crafty, warm and welcoming. At the end of my visit, I got to speak to Susan, who coincidentally grew up not very far from where I live now in Brooklyn! 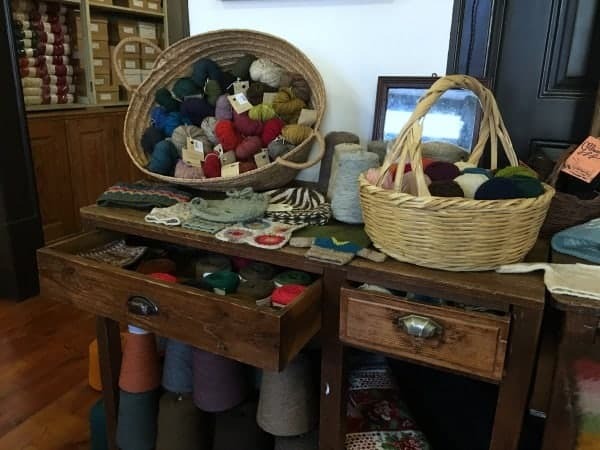 She has created one of my dream yarn shops, and I’m so glad I could pop in during my trip. 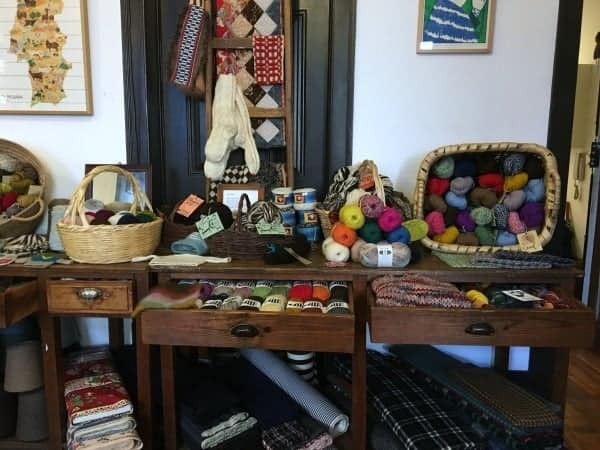 When my husband, Mitch, and I started planning our 10th anniversary trip to Block Island, he was the one who actually told me that there was a yarn mill there. 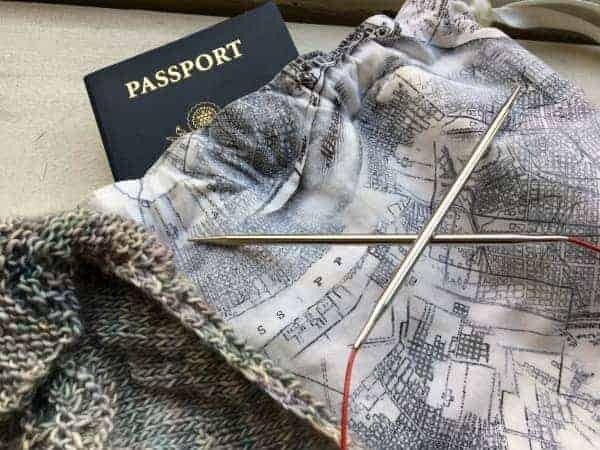 I of course knew of North Light Fibers from Rhinebeck and Vogue Knitting Live, but (I swear) didn’t remember that it was based on the island off the Rhode Island coast until after we decided to go there. Neither of us had been to Block Island before. In fact, neither of us had been to Rhode Island, aside from passing through it on the way to Massachusetts. The quintessential coastal New England landscape, which had the feel of Ireland, was the perfect backdrop for our anniversary escape. I ended up making a couple of trips to North Light, which was conveniently located a 10-minute walk from the inn where we were staying. The first was on Saturday morning, while my husband got ready after breakfast. 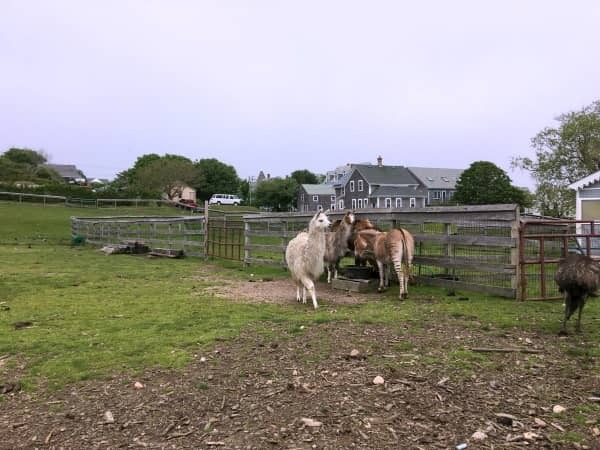 Before you get to the shop, you walk past and through the Abrams animal farm, a collection of exotic and domestic animals, including a yak, a pair of Scottish Highland bulls, camels, emus, donkeys and, of course, alpaca. 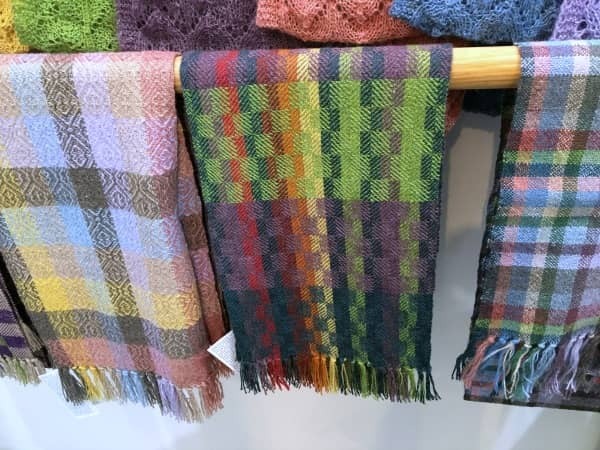 I spent at least a half hour taking in all the yarn, samples and kits, as well as the beautiful woven wraps and scarves that were for sale, created for North Light by a weaving center in Hartford, Connecticut, that encourages people with low or no vision to engage in the craft. 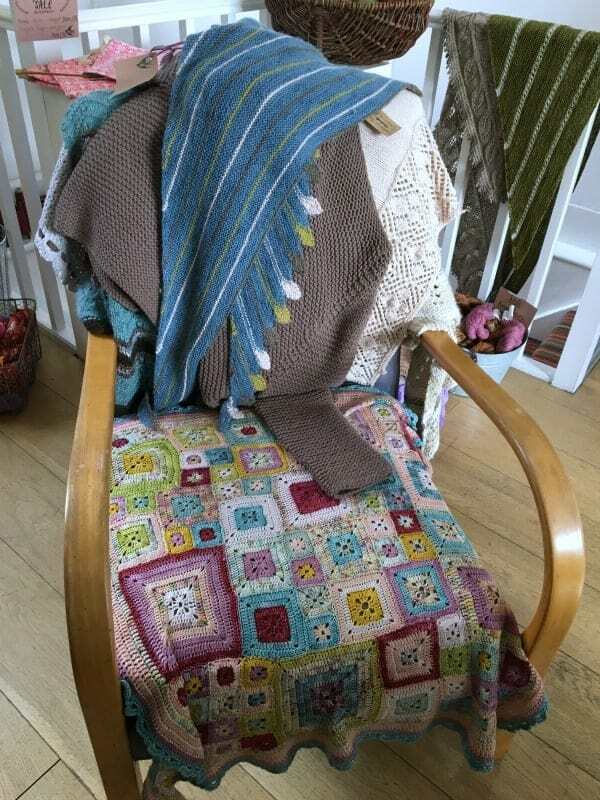 The yarn I admired included Water Street, a luxuriously soft blend of Merino and Cashmere. 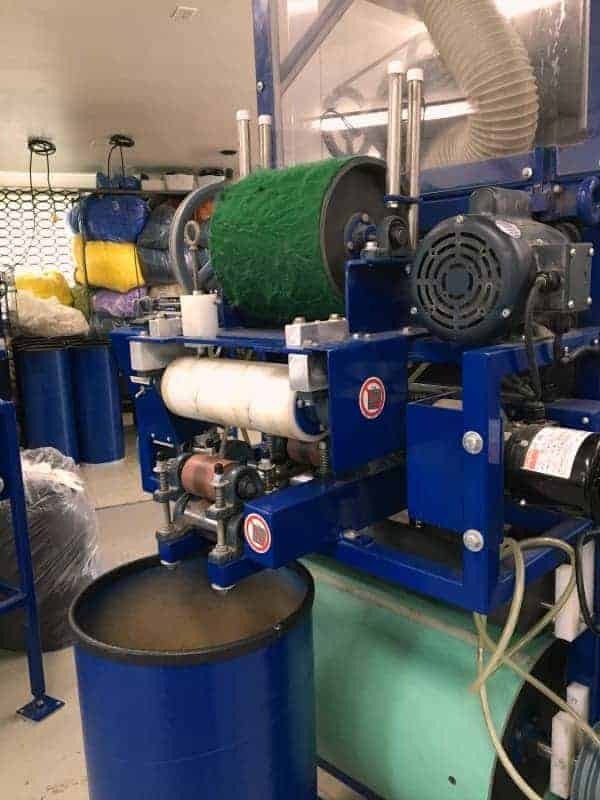 A few of the colorways had beautiful heathers, a product of blending the dyed fibers before spinning. 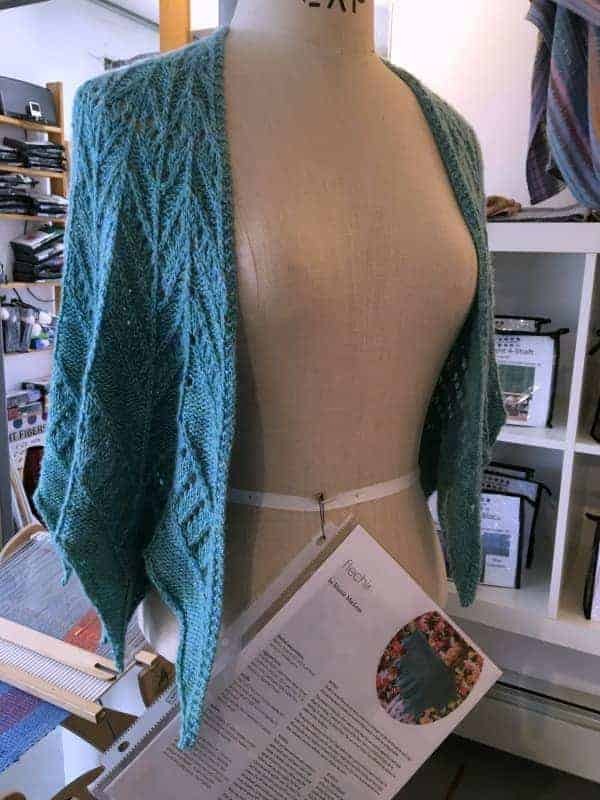 The yarn was shown off in Marnie MacLean’s Flechir shawl, published in April’s Twist Collective and on display at the front of the shop. I ended up ultimately drawn to Atlantic, a worsted weight Merino from the Falkland Islands — soft, but wonderfully sheepy. 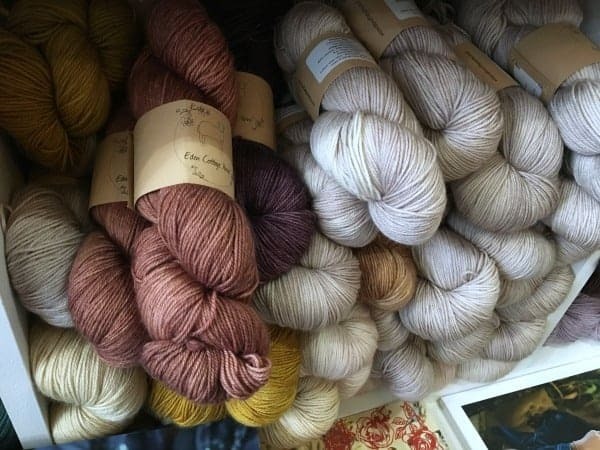 The rich brown Sea Lion colorway particularly called to me, and I ended up buying two skeins for a cabled or lacy cowl. 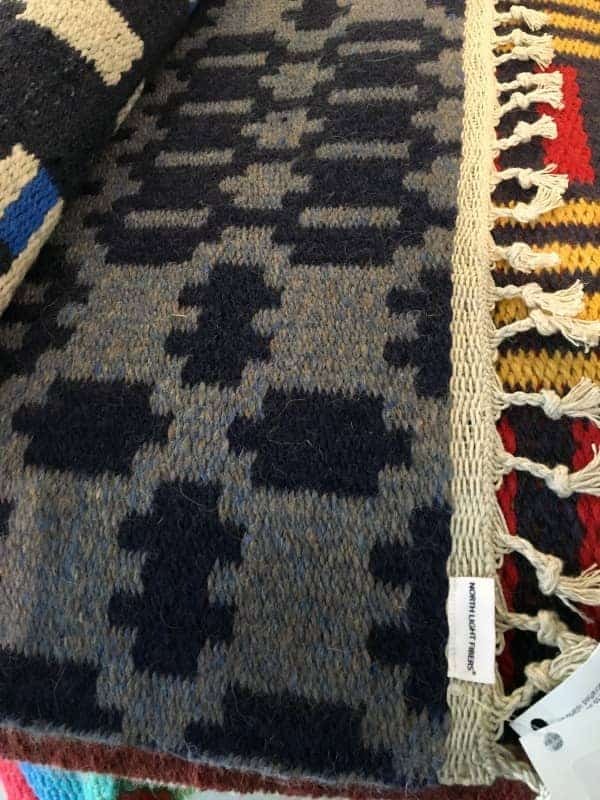 I was also wowed by the rugs on display — also woven by the center in Hartford. I snapped a couple of photos of ones I liked and plotted to get Mitch back there the next day to see if he’d want to get one for our soon-to-be new apartment. As luck would have it, when we came back Sunday afternoon, one of the owners, Sven, was there. 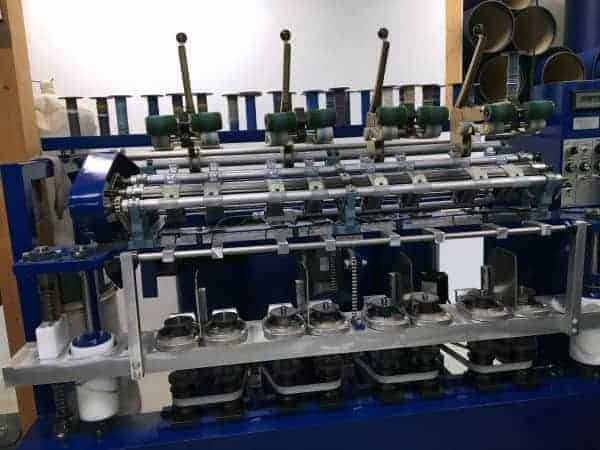 As he rang up the rug we chose, I told him about Indie Untangled and he ended up giving us a short tour of mill, a small space above the store packed with miniature versions of large-scale mill machinery — designed to process 40 pounds of fiber at a time, as opposed to thousands. 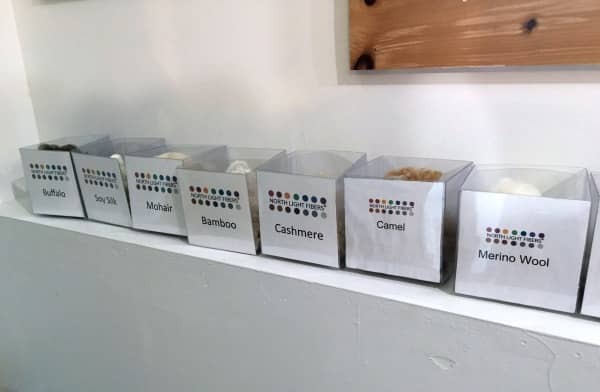 Before giving us a quick overview of the milling process, he compared the scale of operation to that of a microbrewery, and I could definitely see the parallels to the breweries that we’ve toured. 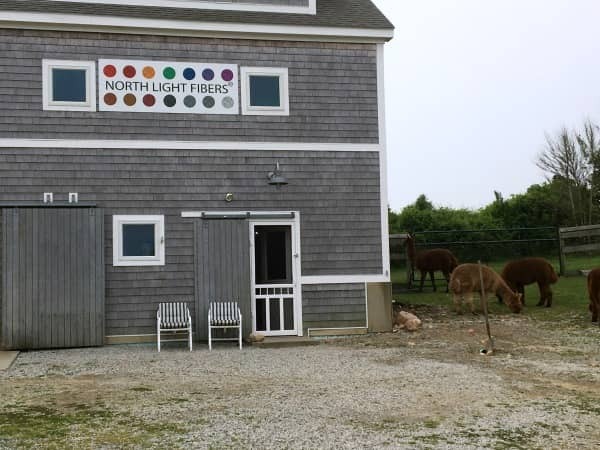 North Light is the only manufacturing on Block Island. 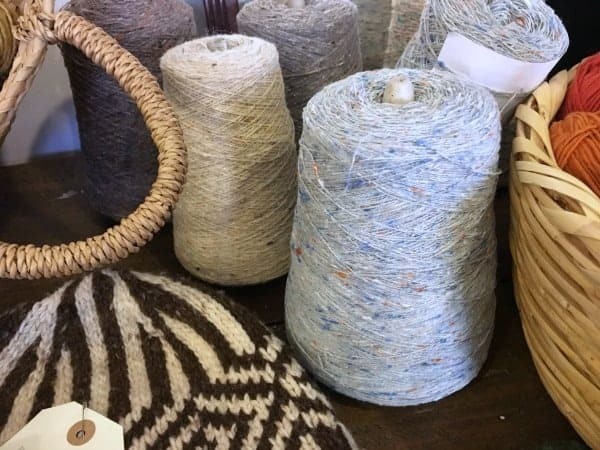 While it imports the majority of the fiber that becomes yarn, the fiber from the alpaca on the adjoining farm does go into some of its products, like the rug that we bought. 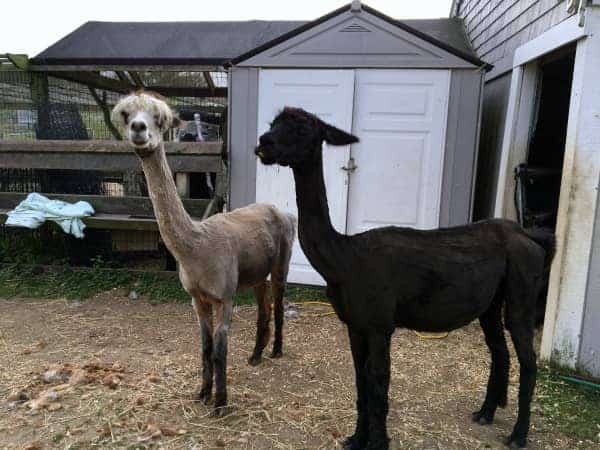 In fact, after I left the store on Saturday, the pair of alpacas that I had met on my way in were sheared while I was shopping, so I got to see them sporting their new haircut. 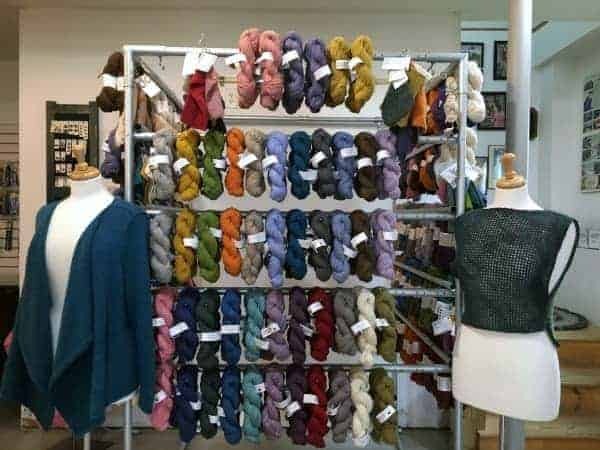 Aside from running the mill and store, and selling yarn to shops and at fiber festivals, North Light also organizes annual retreats, including one this fall in collaboration with Vogue Knitting and one next May with Patty Lyons, Deborah Newton and Twist Collective’s Kate Gilbert. 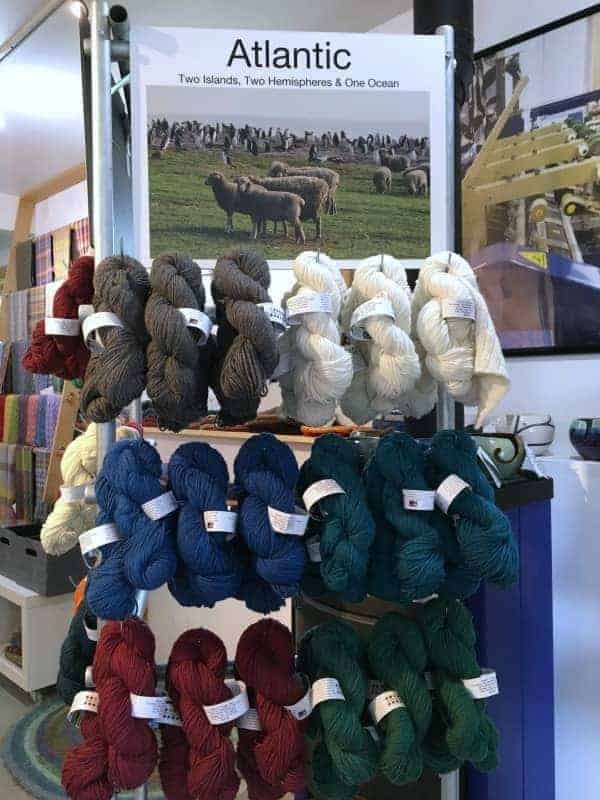 Mitch and I are already talking about coming back to Block Island, and I’m sure this won’t be my last trip to North Light Fibers.